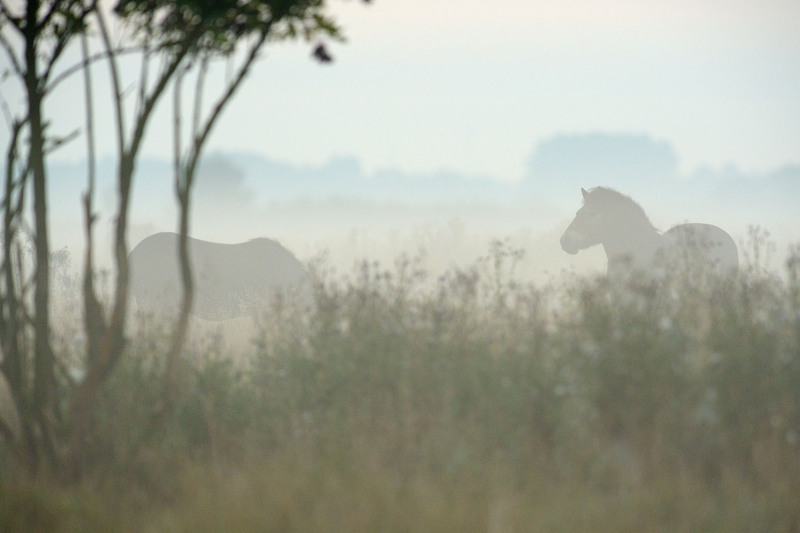 Beremytske Biosfera, a European Rewilding Network member from Ukraine, used the European Wildlife Bank to introduce two herds of Konik horses from Latvia into its rewilding site in 2016 and 2017. The webinar, which was the eighteenth held for ERN members, focused on the challenges faced when introducing large herbivores such as horses and Tauros. Razvan Crimschi of the Danube Delta rewilding team and Anton Nelip, director of Ukrainian NGO Foundation Beremytske Biosfera, shared their knowledge and experience of successful past introductions with the aim of benefitting future projects. But why is it necessary to share such expertise? Today more than half of Europe’s biodiversity is based around dynamic landscapes that are constantly shifting between an open, mosaic and woodland condition as a result of grazing. Yet rising levels of land abandonment, leading to a reduction in livestock numbers, mean that low-intensity grazing is increasingly absent across the continent. As a result, large areas are becoming overgrown with shrubs and trees and their biodiversity is declining. Rewilding Europe and its partners are working together to tackle this problem by introducing wild herbivores, with a growing number of ERN members now making use of Rewilding Europe’s innovative European Wildlife Bank (EWB). 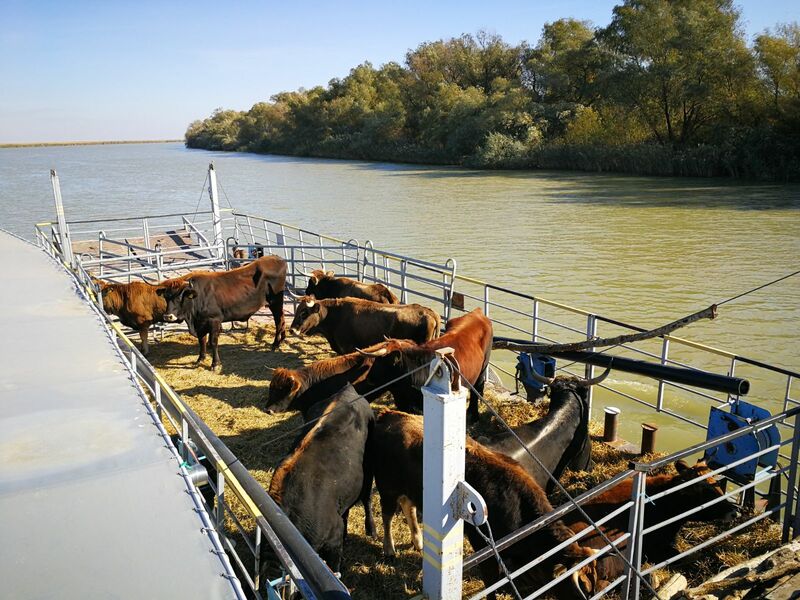 In November 2017 ten more Tauros arrived in the Danube Delta rewilding area in Romania, joining the first group transported here in 2015. Razvan Crimschi talked about what the Danube Delta rewilding team has learned from the introduction of Tauros into this part of Romania. Until now two translocations of Tauros into the delta have taken place – one in 2015, and another in 2017. He explained the entire introduction process to webinar participants, from the capturing of animals and preparation of necessary legal documentation through to the organisation of transport and the selection and preparation of the introduction site. 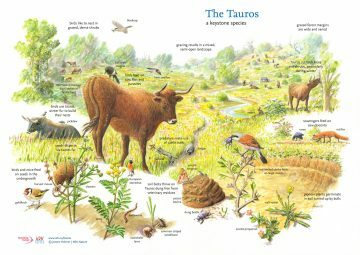 He also spoke about the steps that were taken to ensure the Tauros adapted well to their new home in the delta during the first few months after translocation. Anton Nelip, the second speaker, explained how the Foundation Beremytske Biosfera has made good use of the EWB in Ukraine. The NGO introduced two herds of Konik horses from Latvia into its rewilding site in 2016 and 2017. He discussed everything from visiting the Latvian breeding area and catching and transporting the animals through to helping them adapt well to their new environment. Rising levels of land abandonment in Europe mean large areas are becoming overgrown with shrubs and trees, leading to a decline in biodiversity. Rewilding Europe and its partners are working together to tackle this problem by introducing wild herbivores. After the presentations members touched upon various other practicalities, discussing how to choose animals for translocation, secure good hierarchy and structure in translocated animal herds, reduce the stress of long journeys and ensure good adaptation. Members also talked about the problems encountered when dealing with the varying regulatory environments in different EU countries. In 2015 Rewilding Europe published a practical manual on natural grazing as a key ecological process. 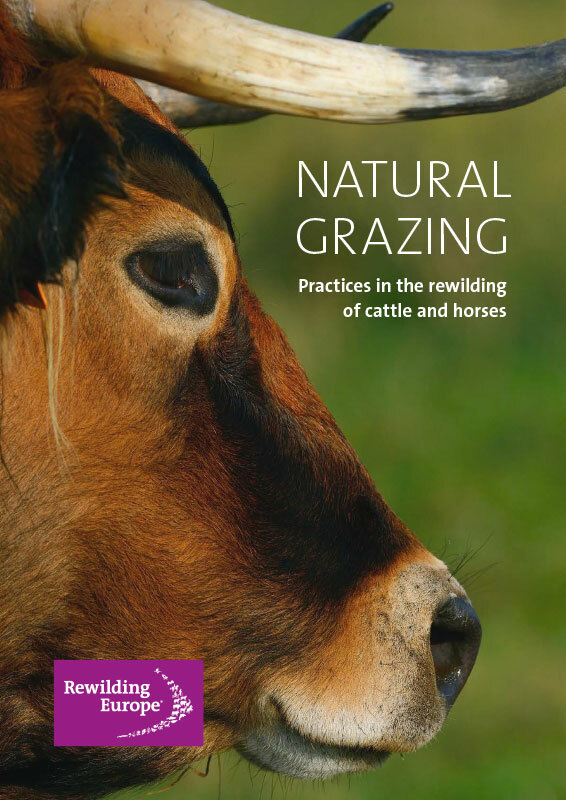 The publication is designed to help rewilding initiatives across Europe learn about and adopt some of the latest lessons and practices regarding the establishment and development of natural grazing initiatives. As this latest webinar demonstrated, no two animal introductions are the same. While learning by doing is the best method, certain principles and conditions must be met. And it is certainly greatly beneficial to work with local people who have an in-depth knowledge of not only the animals being introduced, but also the introduction area. Translocated animals need time to adjust, but with the right approach this can happen relatively quickly. Rewilding Europe regularly organises webinars for ERN members to discuss rewilding related topics and share insight and experience. Since it was launched in 2013 the network has shown impressive growth and now contains 60 members from 26 European countries (including Rewilding Europe’s eight operational areas).